Just about every day I'm trying something new when it comes to my guitar pick jewelry. 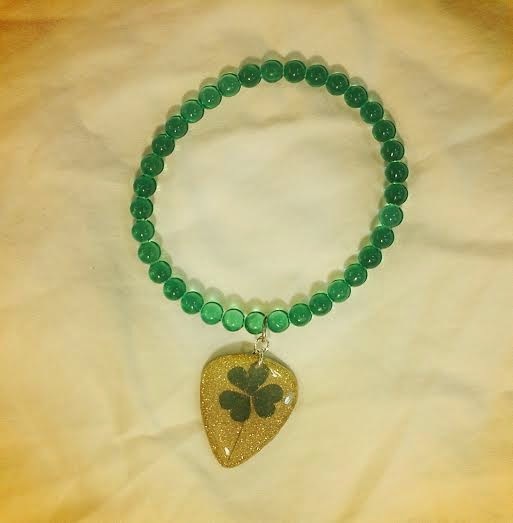 Now I've come up with guitar pick pendants with clovers embedded inside! After the pick itself is processed, I glue on the clovers and then cover them in several layers of epoxy resin and mod podge to seal them in. 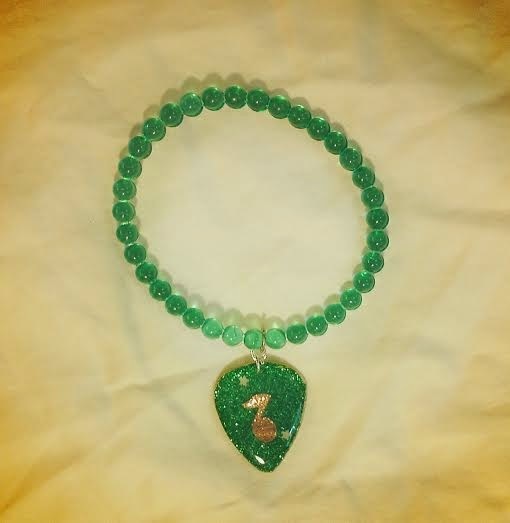 In addition to the new earrings, I made a green guitar pick bracelet with a clover on one side and a gold music note on the green glittery side. 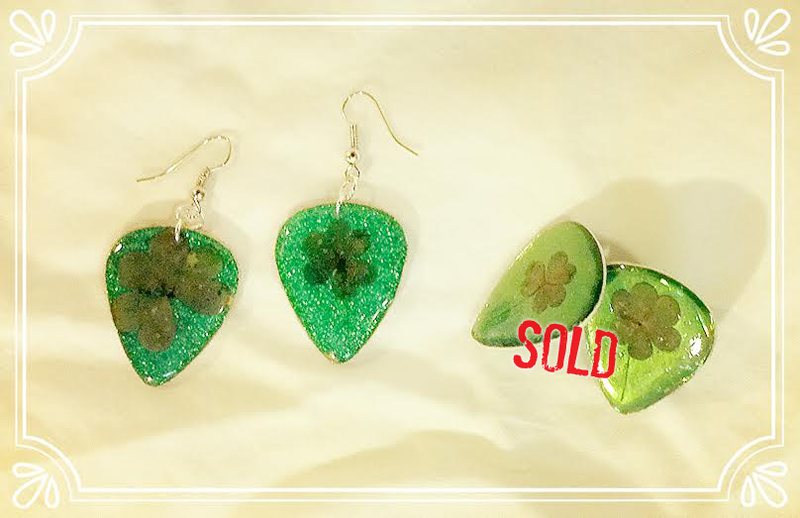 The clover stud guitar pick earrings already sold! - but fear not, I can make more just like it!